Our understanding of the world’s natural resources is changing rapidly. Choose the natural, pure and safe renewable solution. We believe that it is important not just to know how a material is produced, but the impact that production has on the local and global environment. That’s why we aim to work with modified and engineered timbers that allow us to reduce the carbon footprint and minimise any external treatments to our raw material. Our softwood timber products are designed to last – even guaranteed for 50 years without the need for replacement. In addition to a longer life, our portfolio of products requires less maintenance too. Many of our products also have improved insulation built in, allowing for increased energy conservation. One of the products we are proud of is Accoya, which is certified as C2C Gold and C2C Platinum, indicators of wood products that retain sustainable credentials throughout the lifespan. Accoya is also listed as one of the top products on Google’s Healthy Materials Portal Portico. NFP Europe sources timber from forests across Scandinavia, Europe and The Baltics. The procurement of softwood timber in these countries is not only important for production, but also a legal responsibility. We regularly visit all of our timber source sites, verifying that best practices are being upheld. We are proud to work with companies and individuals that are like-minded and share our passion to work only with responsibly sourced and supplied materials. 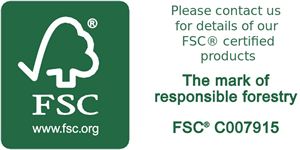 As well as keeping the production of our softwood timber products environmentally friendly, we also work hard to ensure the harvesting, processing and transporting of our products is as eco-friendly as possible too. From forest to site, we aim to offer a delivery that is not only legally compliant with environmental and technical regulations including recycling and bio-cycle standards, but also carries as low of a carbon footprint as possible. 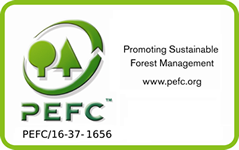 NFP Europe fully supports the independent third party audited Chain of Custody certification of forestry and recognises this as the best method of demonstrating good environmental management. Click here to view a PDF version of this certification. Find out more about NFP Europe and our commitment to providing naturally sourced softwood timber.